How do I become a member? To become a member, you must be a member of your local home builders assocation. Please visit our local associations page to find your local association. 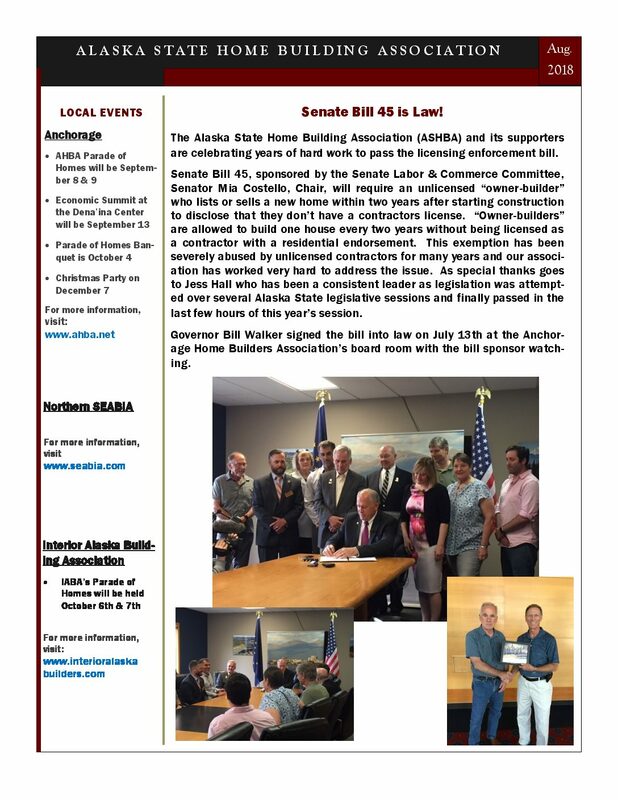 How do file a complaint or to bring a matter pertaining to the actions of a licensed, or unlicensed, professional to the attention of the State of Alaska investigative staff? What is the “Notice of Right to Repair” and where can I get a copy? What is House Bill 81? How does House Bill 81 affect General Contractors, Residential Contractors and Owner-Builders? How has House Bill 81 been used? Where can I find a copy of the Contractor Statutes? How do I get a Residential Endorsement Certificate? Where can I get information about the Residential Endorsement Exam?